Golfers playing recreationally will play throughout the spring, summer, and into the fall, depending on where you live. Some of you are more fortunate to play almost year-round due to the weather. 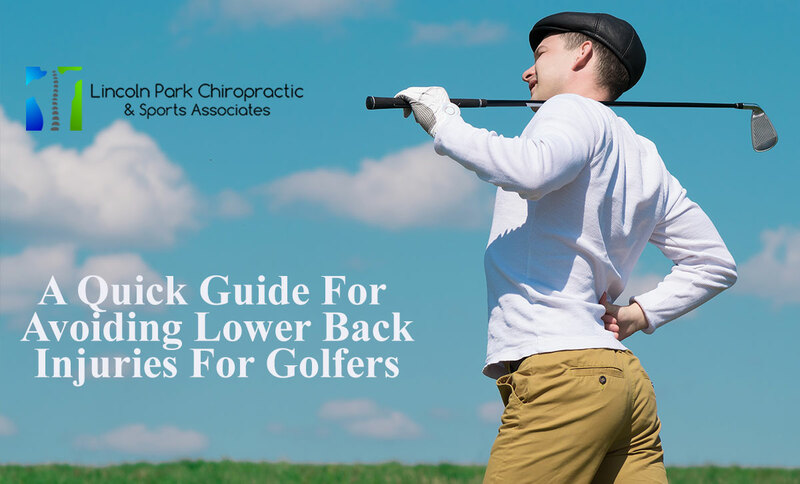 Because of the strenuous load involved with each swing and the varying mechanics of golfers, lower back injuries are quite common because of the overuse and repetitive movement of one’s swing. In fact, it is the #1 injury reported by golfers, accounting for 66.6% of all injuries suffered by elite golfers. Also, it is the #1 injury region, accounting for 25-36% of injuries sustained by male golfers, and 22-27% sustained by female golfers, according to A. McHardy et al in a study performed in 2007 in the Journal of Chiropractic Medicine. It is important to note how to avoid lower back injuries, which I will discuss below. Sports chiropractors who work with recreational, and elite golfers focus on a few main elements when addressing lower back injury prevention. Sports chiropractors focus on gluteal and hip strength, including hip mobility to help reduce strain and load placed on the hips and lower back. The hip joint is pivotal to the golfer’s swing because of the rotation and torque applied with each strike of the ball. It is important to strengthen the gluteal/buttock muscles to help strengthen your swing and reduce overuse on the lower back joints and muscles that rotate the spine. Also, stretching the hip rotator muscles (piriformis, superior and inferior gemelli) are necessary to avoid compensation through the lower back too and to avoid missing time away from the course. 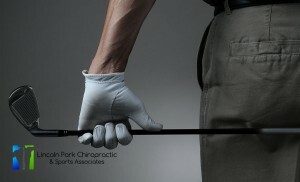 Finally, strengthening the core/trunk muscles create more support, stability, and movement through the golfer’s swing. With each swing, rotation, flexion (bending forward), and extension movements of the spine are necessary to complete each shot. It is necessary to engage your obliques, multifidus (deep postural muscles of the lower back). and transverse abdominal (side abdominal) muscles when transferring weight and engaging the various parts of the swing (address, back-swing, down-swing, and follow-through). Having proper trunk/core stability, and strength, will limit forces applied to the discs and muscles in your lower back. As a result, you will generally hit the ball farther and more accurate because of proper muscle control. Even if you have not suffered a back injury, sports chiropractors will address these exercises to prevent injury. Taking a proactive approach will keep you playing longer and not complaining of nagging aches and pains in your back. This article does highlight the importance of strengthening and stretching the correct muscles to avoid lower back injuries. However, to determine the type of faults one may display, one should consult with a sports certified chiropractor who works with golfers to enhance their game and to protect them from injury.